Overall, at 2.5 out of 5 stars, Nutrition Now PB 8 is an average daily probiotic. The directions say to take 2 capsules per day. The capsules are average size and I didn’t have a problem swallowing them. They also come in a BPA free bottle, which I thought was really nice. I really like how allergy friendly this probiotic is. The capsules are free of soy, gluten, milk, wheat, eggs, peanuts, or tree nuts. This probiotic also contains a prebiotic – inulin. I like when companies use prebiotics because they help feed the probiotic and keep them alive. One last thing I like is how affordable this product is. It only costs $13.75 for 120 capsules (which will last you 2 months). This probiotic is for adults only, so it’s not safe for kids. Another thing is that the probiotics are only guaranteed at the time of manufacture. I like it better when they can get it all the way until the expiration date. This probiotic also suggests that you refrigerate it after opening to help keep the bacteria at their maximum potency. This makes it not as stable or convenient. 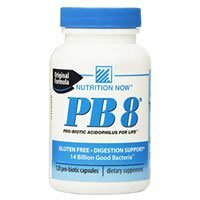 Overall, at 2.5 out of 5 stars, Nutrition Now PB 8 is an average daily probiotic because it’s allergy friendly, affordable, and has a prebiotic but it’s not safe for kids, needs to be refrigerated and only guarantees the live cells until the time of manufacture. Nutrition Now PB 8 contains 14 billion cells in 8 probiotic strains. 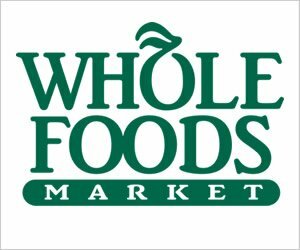 This is a tried and true probiotic strain that has been researched quite a bit. 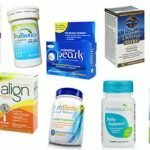 The findings suggest that it may be used to help reduce stomach problems such as gas, bloating, constipation, and diarrhea. This strain may also help with Irritable Bowel Syndrome (IBS) symptoms, vaginal yeast infections, and certain allergies. Another strain that’s used is Lactobacillus casei. I’m actually not a fan of this particular strain. 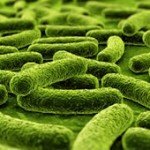 Lactobacillus casei has been known to be aggressive in the body and overrun the good bacteria. This defeats the purpose of probiotics because we want good bacteria in our systems and we want them to survive! However, this strain may be able to help with diarrhea and constipation. Nutrition Now PB 8 is very allergy friendly. The capsules contain NO soy, gluten, milk, wheat, eggs, peanuts, or tree nuts. 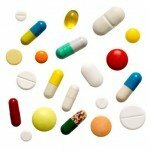 The other ingredients used in the capsules include: gelatin (capsule), water, microcrystalline cellulose, inulin, magnesium stearate, and silica. One quick side note is that PB 8 also offers a vegetarian option for this probiotic line that’s free of gelatin or any other animal by-products. For a 120 capsule bottle, lasting 2 months, it costs $13.75. This works out to be only $0.22 per day to take this probiotic. $0.22 is an incredibly low price and very affordable. I think this is a good value for the price. I did experience some side effects when I first started taking PB 8. I had belly cramps that lasted a few days. Thankfully, the cramps went away after that. Unfortunately, Nutrition Now doesn’t provide a money back or satisfaction guarantee. I really like when companies can offer at least some type of guarantee for their customers. To buy Nutrition Now PB 8, click here.